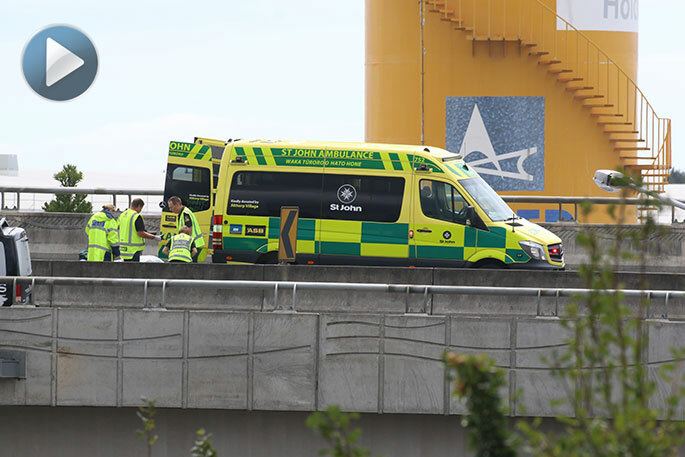 Emergency services at the scene of the crash. Photos: Daniel Hines. 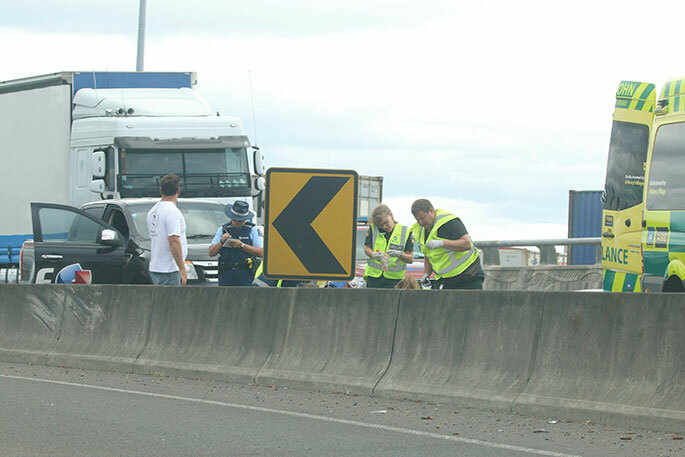 UPDATED 2.14PM: Police are currently on the scene of a one vehicle crash on Takitimu Drive,Tauranga Harbour Bridge. 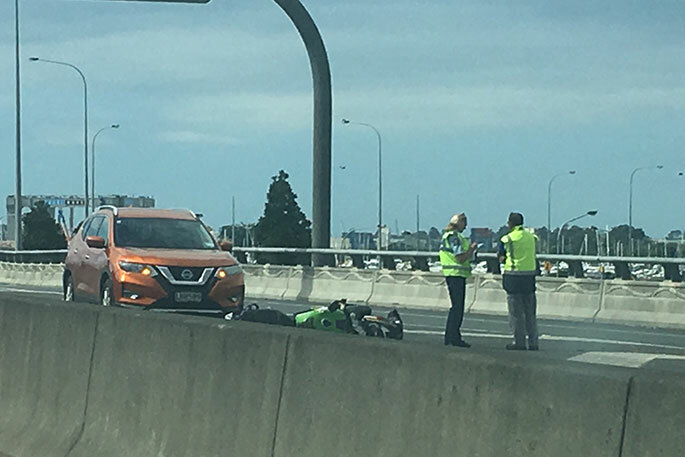 At about 1.30pm a motorcyle hit a barrier and the rider is now in a serious condition, says a police spokesperson. 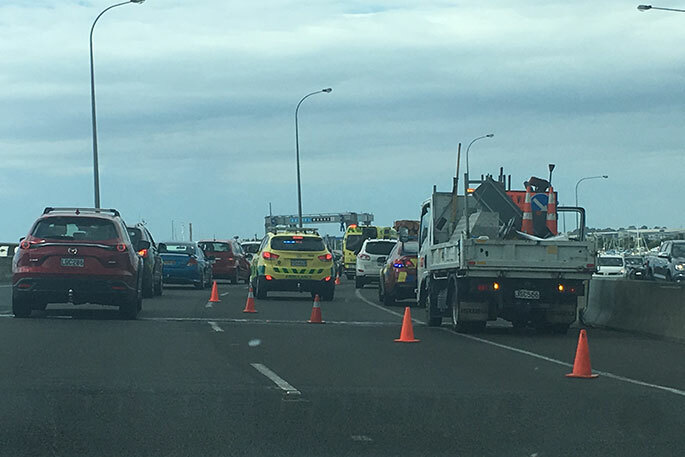 "The crash is in the eastbound lane heading towards Mount Maunganui. "Motorists are asked to avoid the area while emergency services clear the scene." 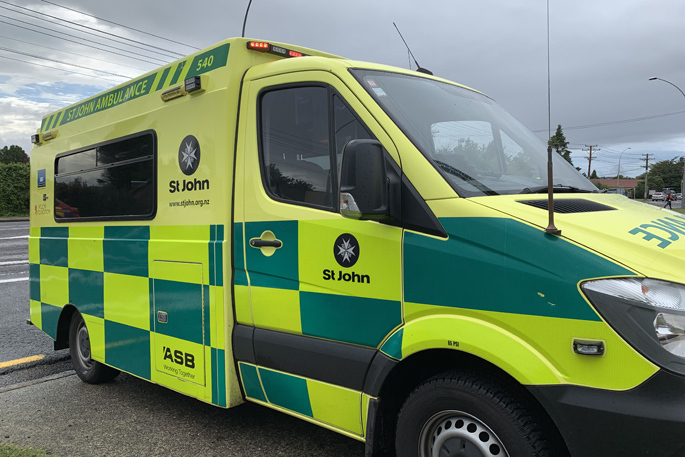 A serious crash is being reported on the Tauranga Harbour Bridge. 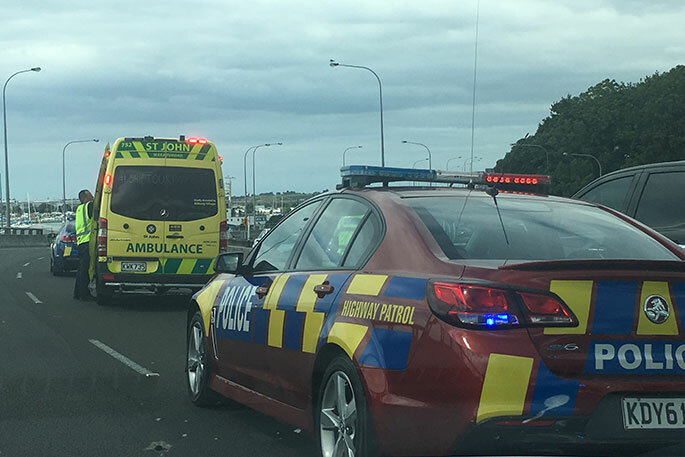 A caller to the 0800 SUNLIVE news hotline says there is a crash in the Mount-bound lane of the bridge, near the Otumoetai off-ramp. 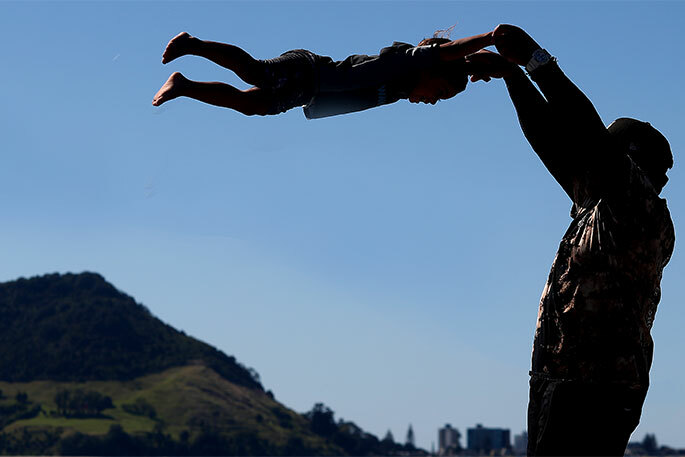 "There are people there and it looks like someone is lying on the ground." 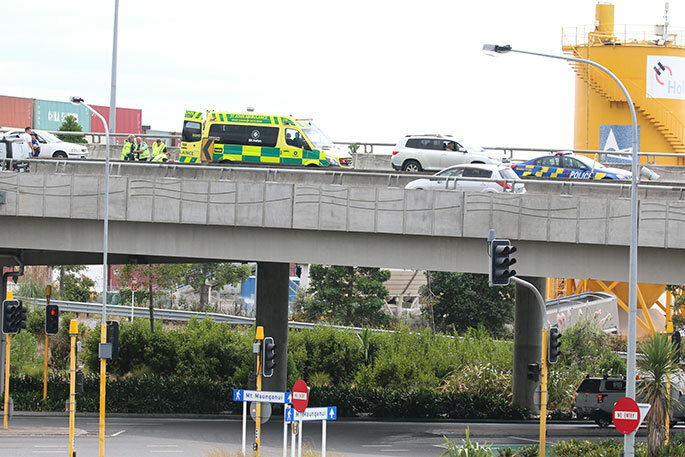 A SunLive reader messaged us on Facebook to says that it appears to be a motorbike crash on Takitimu Drive. "Traffic delays heading to the Mount." Another caller says the crash is in both lanes. "The bike is on one side of the highway near Sulphur Point and the motorcyclist is on the other side." Motorists are advised to drive with care in the area or avoid the area if possible.